The superb sports sedan beats the Germans on pretty much every financial front. 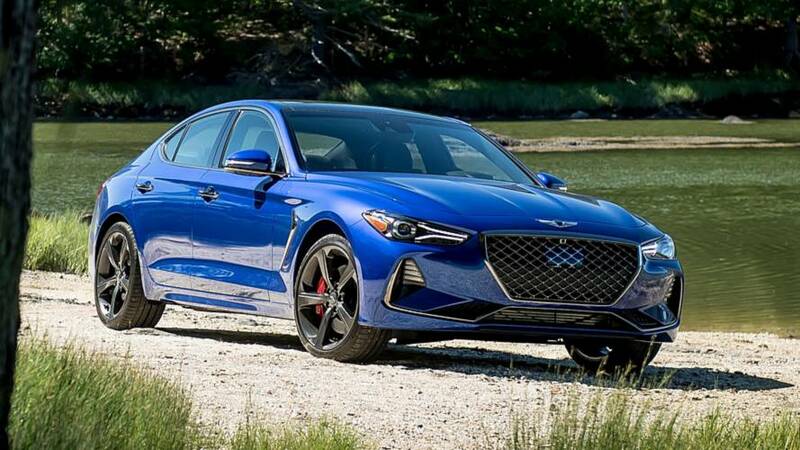 Genesis finally announced pricing for its G70 sedan, with the cheapest model starting at $34,900 plus another $995 in destination charges for a grand total of $35,895. That will get you a rear-wheel drive G70 with a 252-horsepower (188-kilowatt) turbocharged 2.0-liter four-pot under the hood, connected to an eight-speed automatic with paddle shifters. On the high end, $53,245 (including the aforementioned destination charge) will put you into a maxed out 3.3T Dynamic model, packing 365 hp (272 kW) with all-wheel drive, performance brake pads, summer tires, Nappa leather interior, electronically controlled suspension, and all the latest driver safety tech. It should be noted, however, that the G70 Dynamic will be a limited-run model with only 400 built. The same can be said for the G70 Design, which adds a bit more luxury in place of sporty add-ons. With that in mind, the most expensive mass-produced G70 is the 3.3T Sport AWD at $52,495. 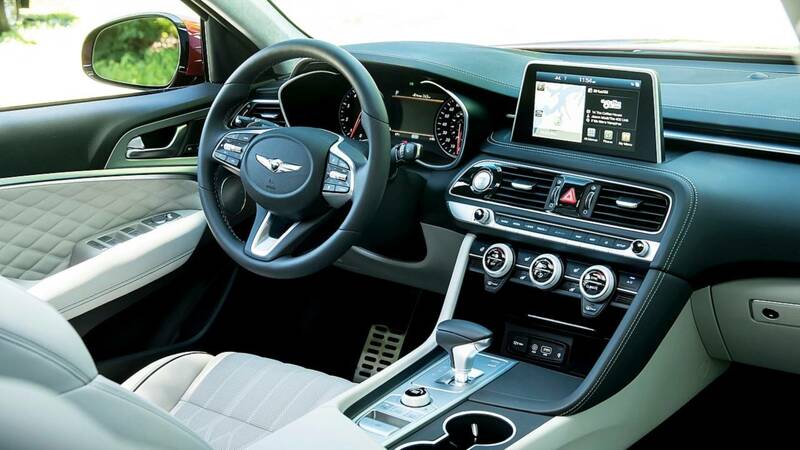 Regardless of the trim, all G70 models feature a full suite of safety systems including forward collision avoidance and pedestrian detection with active braking, lane-keep assist, active cruise control, blind spot and cross traffic alerts, and driver attention warnings. When you start diving into the numbers, it seems fairly clear that the Germans are square in the G70’s crosshairs. Whether you choose the entry-level four-cylinder 2.0T or the highest-spec V6, rear-wheel drive or all-wheel drive, luxury or sport, Genesis checks in roughly $5,000 less than a comparable BMW 3 Series. The story is much the same with the Mercedes-Benz C-Class, though you need to step up to the AMG C 43 to get close to the G70’s V6 performance. Things are a bit closer with Audi, though the least expensive Quattro still costs $40,500 compared to the G70’s $36,900 for an AWD 2.0T with identical horsepower. It’s a close match on the high-end though, with a $51,400 base model Audi S4 matching up well in terms of power and equipment to the highest-spec G70. Genesis is certainly attacking the Germans on price, but here’s the plot twist: it really doesn’t need to. We’ve had a lengthy visit with the G70 in both four-cylinder and V6 formats, and it’s a phenomenal performer that could well be the best in its category. Now that we have definitive pricing for the G70, the new sports sedan from South Korea seems an even sweeter deal. FOUNTAIN VALLEY, Calif., September 19, 2018 – The 2019 Genesis G70 goes on sale this week with either a 2.0T inline four-cylinder turbocharged engine or a 3.3T V-6 twin-turbocharged engine. 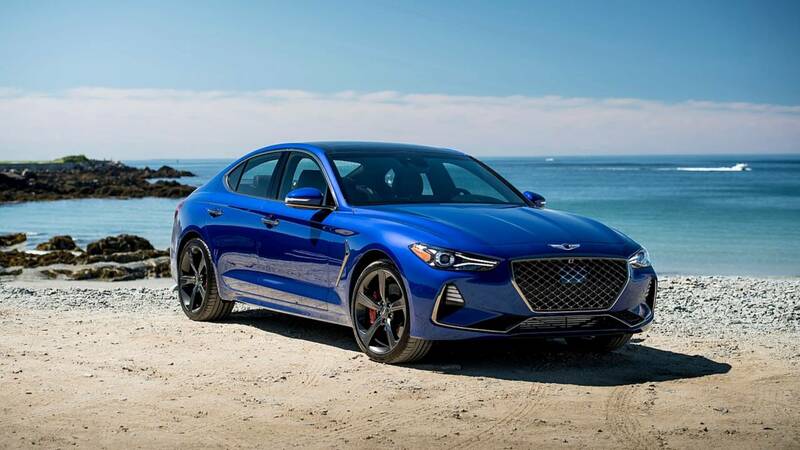 G70s equipped with the 2.0T engine are available in six generously equipped trim levels, including a special manual transmission Sport package, with a starting Manufacturer's Suggested Retail Price (MSRP) of $34,900. 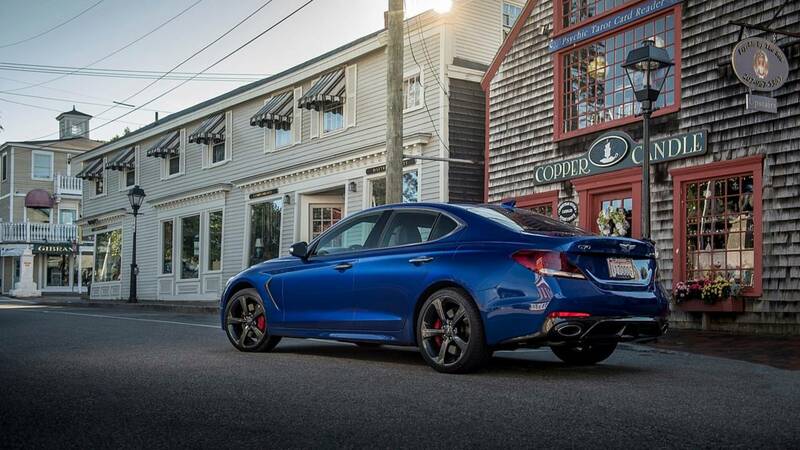 The G70s equipped with the 3.3T engine are available in four generously equipped trim levels, plus two limited production Special Edition models, with a starting Manufacturer's Suggested Retail Price (MSRP) of $43,750. The pinnacle of performance is G70 2.0T Sport, which builds on feature content from G70 2.0T Prestige. G70 2.0T Sport 6MT comes standard with a 6-speed manual gearbox and even more performance-oriented equipment. Standard features on the 365-hp/376lb-ft, G70 3.3T Advanced generously reinforce its sport-sedan image, adding to or replacing content on G70 2.0T Advanced. Rear-wheel drive is standard. Limited to 400 models in the first year of production, the 3.3T Design Edition features an exclusive combination of interior and exterior finishes. It builds on the 3.3T Prestige. Genesis Motor America, LLC is headquartered in Fountain Valley, Calif. Genesis is a global luxury automotive brand that delivers the highest standards of performance, design and innovation. 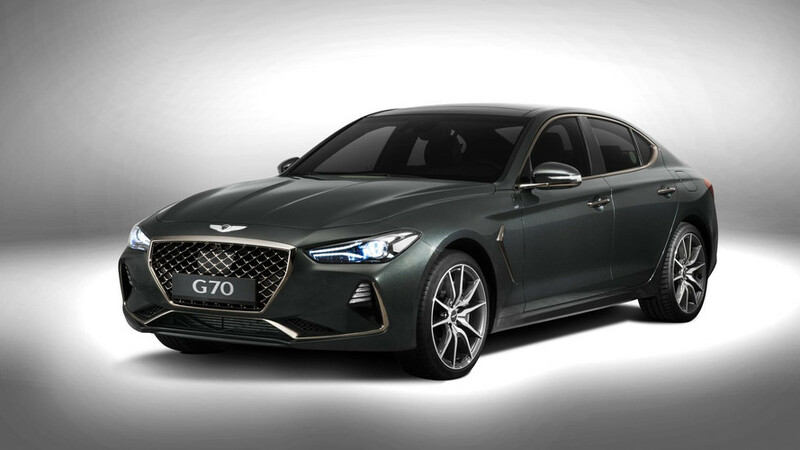 A total of six new Genesis models, including the flagship full-size G90 luxury sedan, mid-luxury G80 and G80 Sport sedans and the first-ever, all-new G70 entry luxury sport sedan, will launch by 2021 and compete with the world’s most renowned luxury car brands. All Genesis vehicles sold in the U.S. are covered by an industry-leading warranty with enhanced roadside assistance and concierge services. In just the first half of 2018, Genesis won highest-ranked brand in the automotive industry awards for quality and owner satisfaction from highly-respected, third-party experts Consumer Reports, J.D. Power and AutoPacific.